A local Bear Cub Scout den recently visited our Sheriff's Office, and they did an AMAZING job showing the boys and teaching them all about their different jobs and how to stay safe. 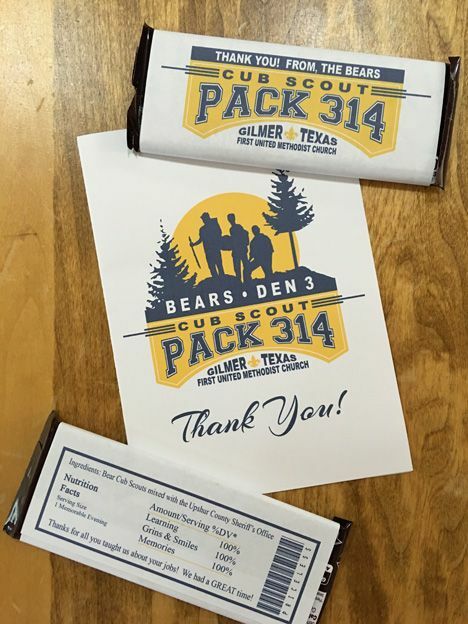 The cub scout den wanted to do something special for them for such a great time so I created this thank you card and candy bar wrapper. If you need custom items to thank a group for a job well done contact Paper Perfection at jtanddolly@yahoo.com for pricing and details.